Lenovo already told us to expect a whole bunch of new Moto Mods in 2017, potentially upwards of 4 new ones per quarter. 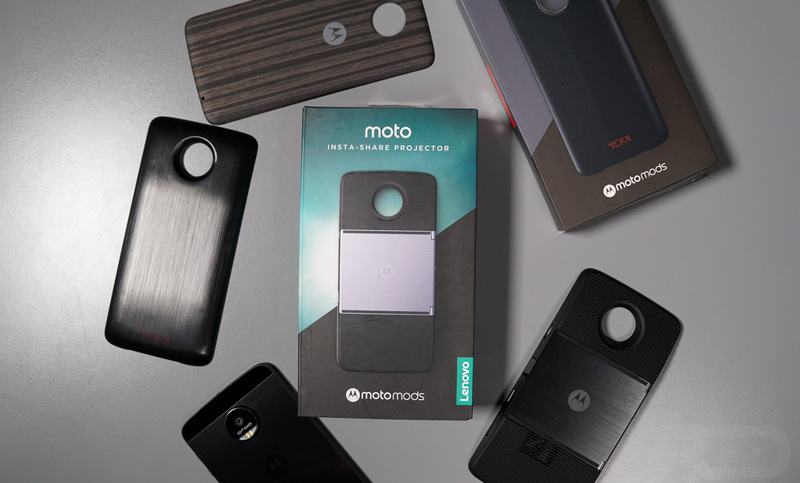 Last week, though, during the company’s re-launch into Pakistan, an executive doubled-down on that promise, saying that they plan to release 12 Moto Mods throughout the year. He also discussed the longevity of a Moto Mod, something we had not yet heard from the company. Sharay Shams, Lenovo’s general manager of smartphones for the Middle East, told reporters in Pakistan that they will “introduce 12 Mods this year, which will remain compatible with phones to be introduced by the company over the next three years.” As fun as those new 12 Mods sounds, I can’t help but give a slow clap to Lenovo for sticking to compatibility for that long. This essentially means that if you bought a Moto Z and some Moto Mods last year, you’ll be able to take those expensive Mods with you to the next Moto Z, followed by the next one or two after it. Not that I was fully expecting Moto and Lenovo to not make compatibility that universal for the foreseeable future, but we’re talking about Moto Mods support outlasting software support. Nice. Of course, this also means that the shape or general design of the Moto Z family might not be able to change dramatically during that time. Still, as we see companies like LG and Samsung issue phones that are almost all-display on the front, Motorola could do that to provide a more immersive experience that keeps retro-Mods compatibility intact.